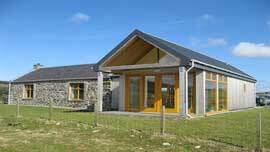 The Finlaggan Visitor Centre will open on Saturday 30 March. We look forward to seeing again those who have visited us before and welcoming new visitors to the site. The season promises to be an exciting one for the Trust. 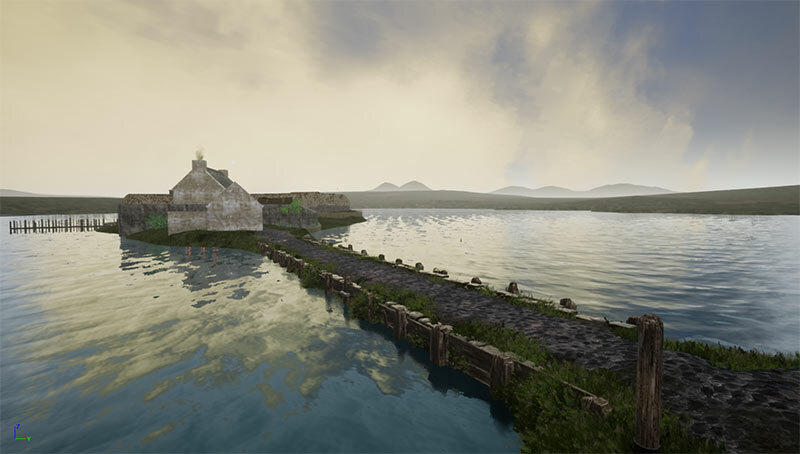 In addition to a number of major repairs to the access road, the Visitor Centre and Eilean Mor, we will also be showcasing our virtual reality reconstruction of the site during its height in the fifteenth century. 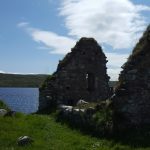 Working in collaboration with the University of St. Andrews this exciting project will provide visitors with some sense of Finlaggan at the zenith of the Lordship’s power. 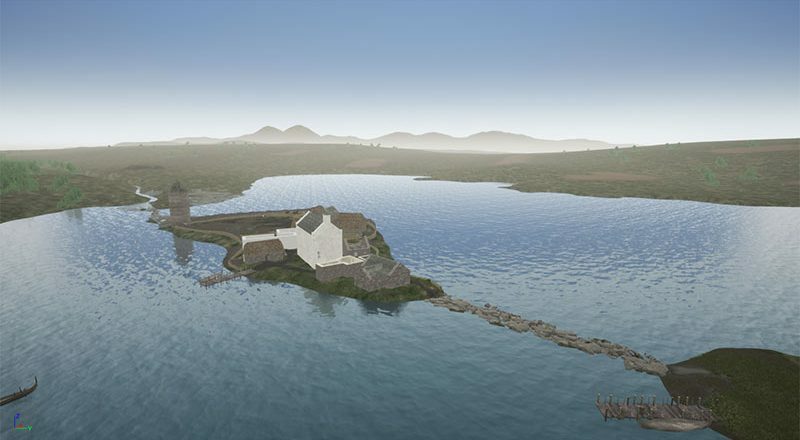 We will also be exhibiting a number of photogrammetrical reconstructions of some of the artefacts found at the site and around the island, in addition to some drone footage from Islay and Jura. A Finlaggan app will also be available in the coming year, bringing yet another dimension to the visitor experience and help bring Finlaggan to the attention of a wider public. Updates will follow. Watch this space. It’s time for our AGM, tomorrow night at the Finlaggan Visitor Centre to which all members have been invited. We’re looking forward to an exciting and productive year ahead in 2017 and hope to see a good turnout and usual enthusiasm from our great management committee. We’re currently updating our members’ database so if you have current contact details you would like amended please contact us on finlaggan@outlook.com – and thanks to all who have already! 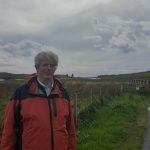 Our Trustee and longtime advisor David Caldwell visited Islay during the week of 19 September. On Tuesday and Thursday afternoons Dr Caldwell hosted tours to groups of fortunate visitors whose enjoyment of the event equalled their learning! Many thanks to David Caldwell for sharing his experience of working on the site and his extensive historical knowledge.